Zevrix Solutions announces that Package Central for Adobe InDesign is now available on Adobe Exchange, a new and improved Creative Cloud marketplace. Package Central automates InDesign packaging by processing files from watched hot folders. The software offers email notifications, variable folder names, PDF/IDML export and more. Users can now purchase Package Central directly on Adobe Exchange which makes it easier for customers to discover and install third party plug-ins for Creative Cloud. Toronto (ON), Canada — Zevrix Solutions today announces that Package Central for Adobe InDesign is now available on the new and improved Adobe Exchange. Originally developed for a major publisher in the United States, the software automates InDesign packaging by processing files from watched hot folders. Package Central automatically collects InDesign files from hot folders on a central system leaving operator workstations free from the document packaging process. Under Package Central workflow, production artists, prepress operators and designers simply submit files to hot folders that reside on a network. The software then automatically collects InDesign files along with their fonts and links using workflow settings assigned to each hot folder. 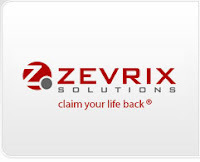 Package Central can be purchased from Adobe Exchange for US$149.95 as well as from Zevrix website and authorized resellers. Trial is also available for download. Package Central requires macOS 10.7-10.13 and Adobe InDesign CS5-CC 2018.